Ekaterina Popova was born in Vladimir, Russia. 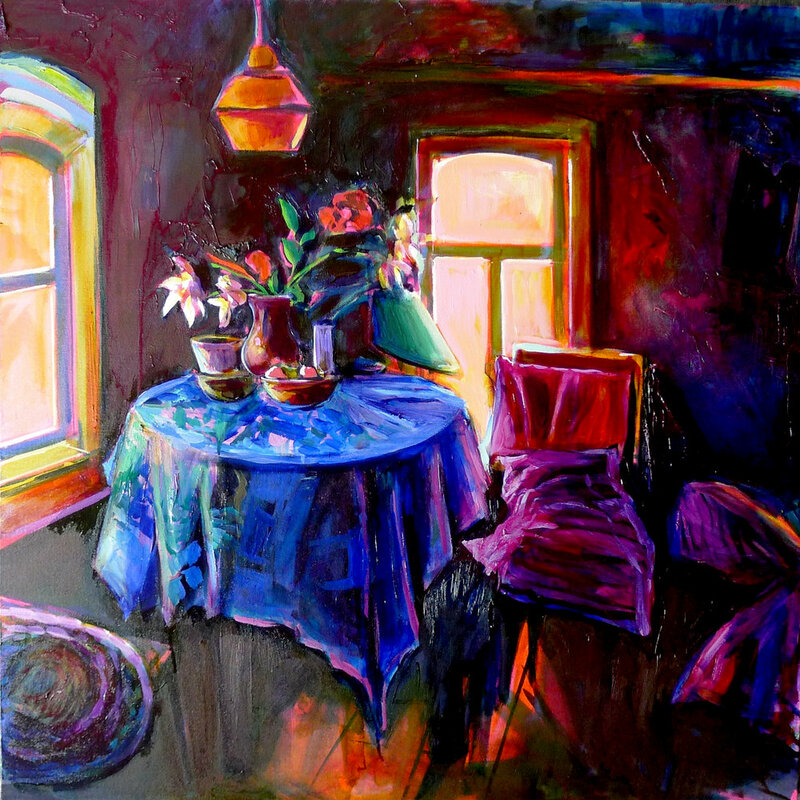 After moving to the United States, she fell in love with painting and received a BFA from Kutztown University of Pennsylvania. Most recently her work was on view at a corporate exhibition at Capital One in Wilmington, DE and on the pages of Minetta Review, a New York University art and poetry journal. 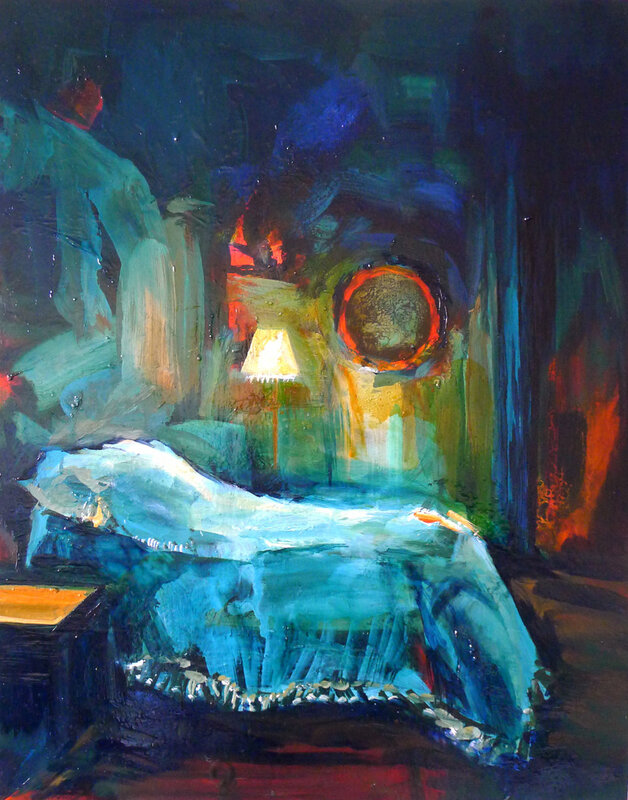 My fascination with the idea of home started at a young age after my move to the United States from Russia. Since that moment, I have been involuntarily clinging to old photographs, images, magazine cutouts, and books that remind me of my old life. I now combine these elements and found imagery to create fictional spaces in which my separate cultural experiences can coexist. 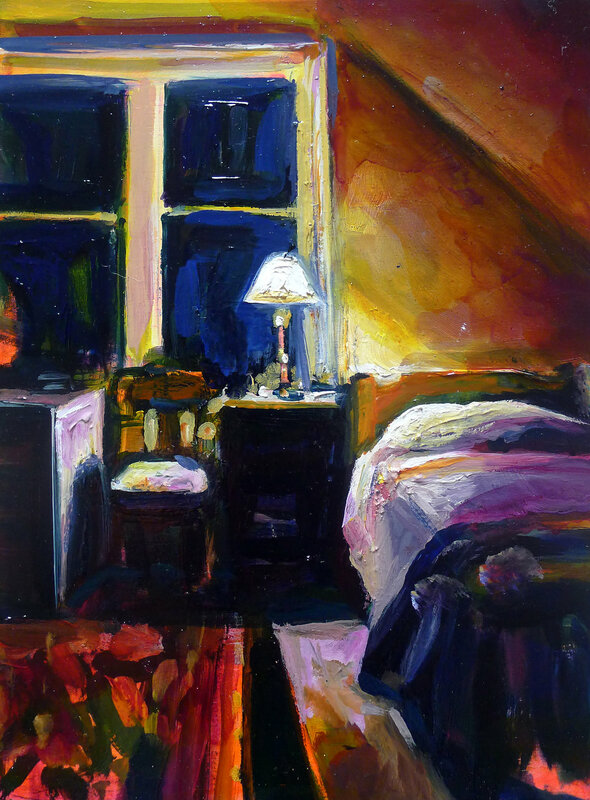 My paintings fuse my memories with scenes from my current environment. As a result, the domestic spaces and still lives feel at once strange and familiar.